The Routeburn Track is excellent for day trips from Queenstown for the independent walker. Take the spectacular drive from Queenstown to Glenorchy, rated as one of the world’s Top 10 scenic drives! Experiencing the Routeburn How ToTrack and other great walks in the Mt Aspiring National Park could not be easier. Simply book your place on our bus, tell us where you want to go, hand us your pack, sit back and enjoy the ride. 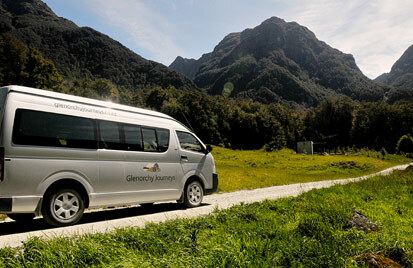 Glenorchy Journeys offers daily track transport from Queenstown and Glenorchy to the Routeburn Track, the Greenstone/Caples Tracks, and the Rees and Dart Tracks, plus small group charters connecting you to Queenstown and further afield. Competitive rates offered, departures to fit your timetable and ensure the ppsspp gold app download transport to your tramping experience is hassle free. Flexible options available on all runs. Bookings are essential as service only runs with confirmed bookings – minimum numbers apply on all departures. Bus departs Queenstown from the Station Building located on the corner of Camp and Shotover Street (opposite Queenstown i-SITE). In addition to the above transfer times can be designed around your schedule. Contact us for availability. Bus services from The Divide (The Milford Sound side of the Routeburn Track) are also available upon request.